Dhanbad is a popular city in the Jharkhand state of India. Dhanbad RTO conducts multifold activities as per the instructions laid down in the motor vehicle act of 1988. It is headed by the transport commissioner. The purpose of establishment of Dhanbad RTO is to ensure smooth functioning of transport and traffic. RC is one of the mandatory documents for all the vehicle. 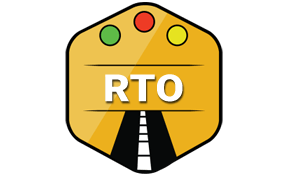 In order to receive it, the vehicle owner must visit the RTO office. If someone purchases a new vehicle in Dhanbad than they must pay a visit to it's RTO. Along with a nominal fee, the vehicle owner needs to submit a few documents. After verifications of these documents, RC is issued within no time. There may be many times when RC may need amendment. These changes may be required at the time of change of contact details of the vehicle owner. Other occasions when such alteration is required is when the vehicle is sold to someone. Dhanbad RTO facilitates all the dealers in managing the distribution of vehicles smoothly. Dhanbad RTO ensures all the paperwork of dealers is adequate after verifying all their papers. One of the important tasks of Dhanbad RTO is to control the pollution of the vehicles. In order to do so, pollution tests are conducted on a regular basis. It's mandatory for all the vehicle owners to have pollution certificate in their vehicles. They must also renew it after its expiry. Timely training is required to make people aware about traffic rules and regulations. This is done to create a culture of traffic civic sense among commuters. Other trainings are conducted to assist people in learning driving. Dhanbad RTO controls all the driving schools in the city. Besides training, there are many tests are conducted on a regular basis. These tests are related to driving or checking the vehicle fitness. For driving both theoretical and practical tests are organized. To check the vehicle fitness and roadworthiness, vehicle emission tests are conducted on a regular basis. Regional Transport Officer (RTO), Dhanbad, Jharkhand - 826001.